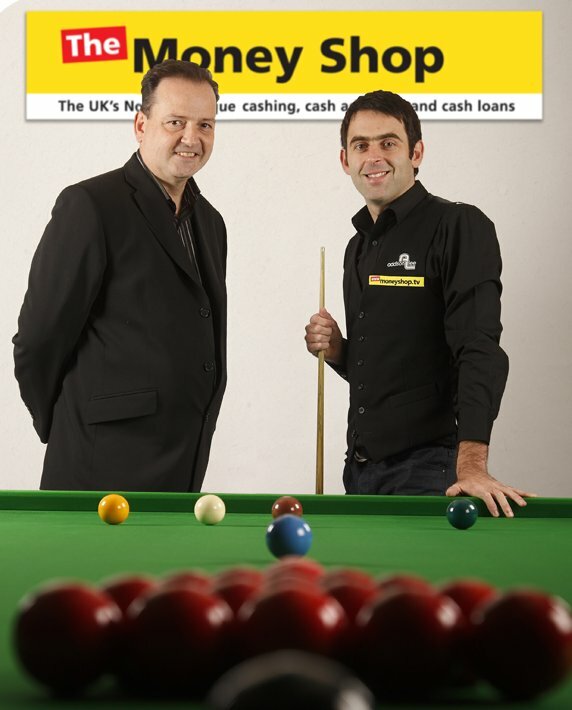 The Money Shop, the UK’s number one instant cash provider, has signed up to become Ronnie O’Sullivan’s main logo sponsor for the 2011/12 season in a deal brokered by Grove Leisure. The deal will see The Money Shop’s website appear prominently on the front of Ronnie O’Sullivan’s official playing waistcoat and also provide the UK’s largest network of high street instant cash providers with a host of properties to enable the brand to engage customers and employees in the sponsorship. Andrew Bryan, marketing director for The Money Shop, said: “The Money Shop is the UK’s number one instant cash provider and linking with snooker’s No.1 player is fantastic. Sponsoring Ronnie O’Sullivan gives us an excellent opportunity to drive high levels of national television and media exposure for our brand. The Money Shop logo will appear on Ronnie O’Sullivan’s waistcoat throughout the remaining Premier League fixtures, the Masters, UK Championships, China Open, Welsh Open and World Championships. The Money Shop is the largest network of high street instant cash providers in the UK, having grown over the last 10 years to 250 stores nationwide. Products include cheque cashing, payday loans, pawnbroking, money transfers and foreign exchange.